Khloe Kardashian, of the Kardashian family fame, can be seen getting some hands-on parenting lessons from Dream Kardashian, the 13-month-old daughter of Rob Kardashian and Blac Chyna, in the latest iteration of this year’s KarJenner Christmas card. The Christmas card reportedly features four generations of the family in one photo and shows Khloe — pregnant with her first child with Tristan Thompson — and Kris Jenner hold up Rob and Chyna’s daughter. The background features Dream’s great-grandmother Mary Jo “M.J.” Houghton. 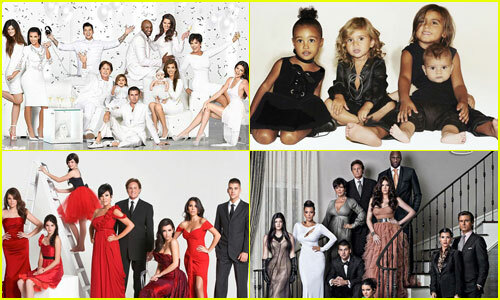 Dream has made multiple appearances in recent days, with Kim Kardashian West, Kourtney Kardashian, and Kris revealing, bit by bit, about the little girl. She became the main focus in the Day 9 picture, where she can be seen wearing a short-sleeve white top. Dream can be seen in Khole’s arms in a group shot of the thirteenth day as the new mum tries her best to hide her baby bump. The only one who is missing in the photos so far is the youngest Kardashian sister, Kylie Jenner, who is expecting her first child but yet to confirm her pregnancy. According to sources, Kim Kardashian has taken the role of organizing the Christmas card shoot, which involved photographer Eli Linnetz.